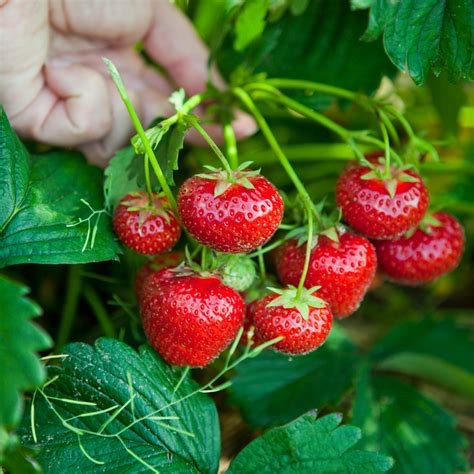 Cultivated strawberries are one of the most delicious fruits you can grow at home. They form a good ground cover and spread by above-ground runners, so it’s easy to divide them into new plants for mass plantings. We supply Ozark Beauty, an everbearing variety that produces large yields of medium-to-large berries from early summer until the first frost. They’re great for fresh eating, jams and pies. The leaves can also be eaten, raw or cooked.